Heat oven to 350°F Spray 13x9-inch (3-quart) glass baking dish with cooking spray. In 12-inch nonstick skillet, heat oil over medium heat. Add onion and bell pepper; cook 4 to 5 minutes or until softened. Stir in pineapple, beans, green chiles and salt. Cook and stir until thoroughly heated. Remove skillet from heat. Stir in 1/2 cup cilantro and 2 cups of the cheese. Spoon and spread 1 tablespoon enchilada sauce onto each tortilla. Spoon about 3/4 cup vegetable mixture over sauce on each. Roll up tortillas; place seam side down in baking dish. In small bowl, mix reserved 1/3 cup pineapple juice and remaining enchilada sauce; pour over entire surface of enchiladas in dish. Sprinkle with remaining 1 cup cheese. Spray sheet of foil large enough to cover baking dish with cooking spray; place sprayed side down over baking dish and seal tightly. Bake 35 to 40 minutes, removing foil during last 5 to 10 minutes of baking, until cheese is melted and sauce is bubbly. 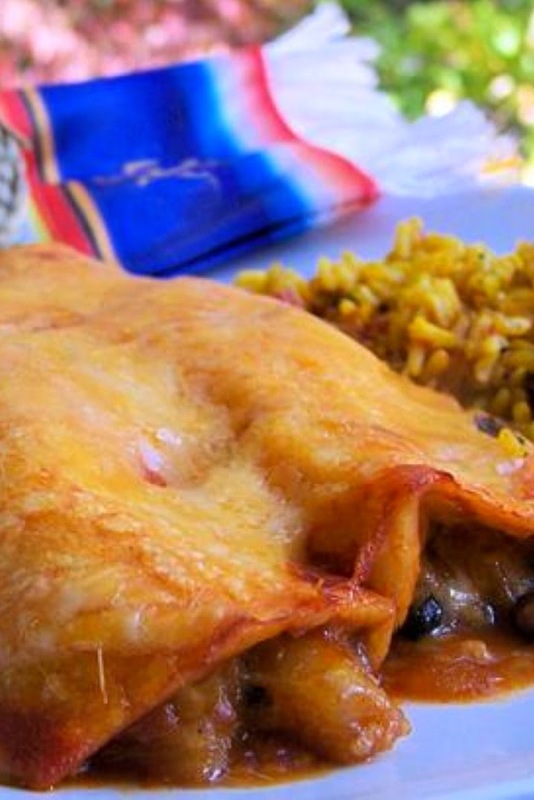 Top each baked enchilada with 1 tablespoon sour cream and 1 teaspoon cilantro. High Altitude (3500-6500 ft): Bake 40-45 minutes, removing foil during last 5 - 10 minutes of baking.